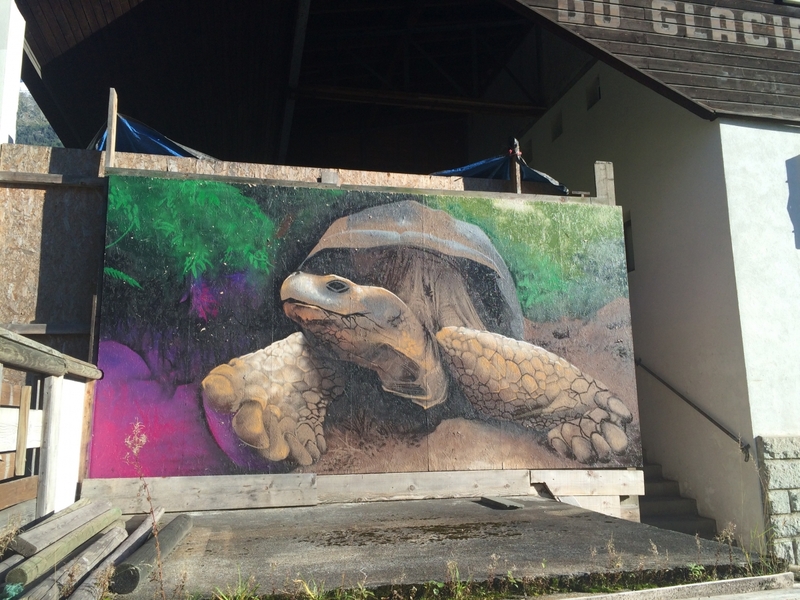 A mural on particle board in Chamonix, France, in September 2015. Photo by Mike Houck. Artist unknown.